Jussie Smollett Out For The Rest Of This 'Empire' Season The actor was arrested Thursday for filing a false police report. Now, it appears the role that made him famous may be in doubt. Empire producers said they chose to "avoid further disruption on set." Empire actor Jussie Smollett leaves the Cook County Jail in Chicago Thursday after posting bond. On Friday, the show's producers announced that they would be removing his character from the final episodes of this season. 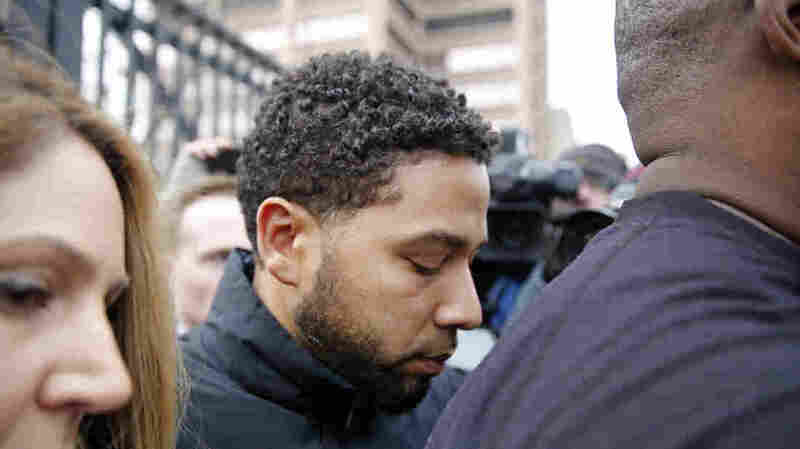 Smollett's legal team, meanwhile, has pushed back against the allegations, for which he faces up to three years in prison. And they chalked them up to politics.